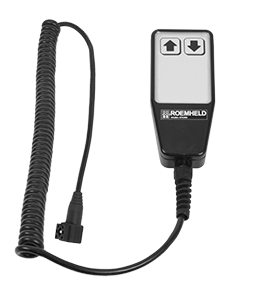 Roemheld provides an assortment of products to meet your assembly and handling needs. 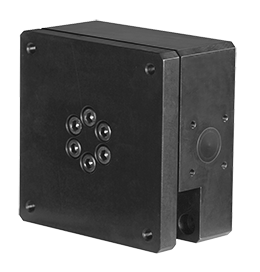 Maximize your productivity, and easily control or move items in your specific applications. Download the Assembly catalog from Carr Lane Roemheld, which includes information on all of the products below. 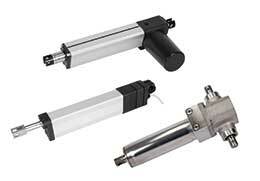 Control, adjust and move with your choice of electric (12 VDC or 24 VDC) or hydraulic linear actuators. 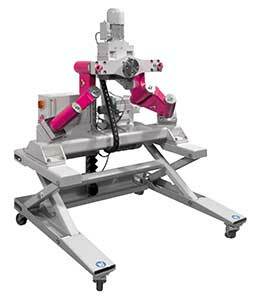 Centrick is a three-dimensional workpiece positioner for heavy load assembly up to 4,000 lbs, tilts up to 90 and rotates 360 degrees. 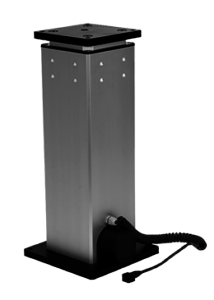 Centrick is quiet, requires just 230 V and little space, reducing accidents and downtime. 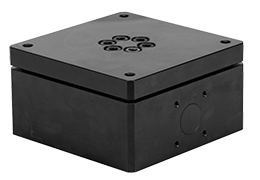 Combine modular units for safe, efficient handling. 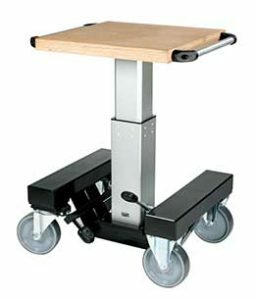 Achieve rotating, tilting, and lifting of workpieces, and use with carts, floor modules, plates, clamps or adjustable tables. See the chart below for information on specific modules for your applications. Rotating Module Horizontal Axis Rotate your workpiece about the horizontal axis via manual, hand lever, or hydromechanical operation. 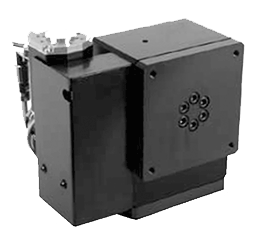 A 4 x 90˚ indexable version is available. 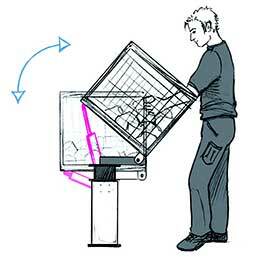 Maximum weight is 200 kg (450 lbs). Rotating Module, Electric, Horizontal or Vertical Axis Rotate your workpiece from 0˚ to 90˚ via electric operation. Versions for horizontal or vertical rotation. Maximum weight is 600 kg (1,350 lbs). Data sheet: M1.201. 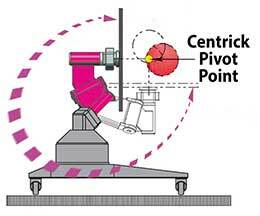 Rotating Module Vertical Axis Rotate your workpiece about the vertical axis via manual or hydromechanical operation. Standard version is indexable 4 x 90˚. Special index angles available upon request. Maximum weight is 600 kg (1,350 lbs). Data sheet: M1.301. 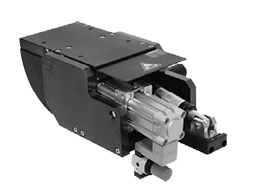 Tilting Module Tilt or swivel your workpiece from 0˚ to 90˚ via manual or electric operation. Maximum weight is 100 kg (225 lbs). Data sheets: M2.101, M2.201. Lifting Modules Precision lifting and lowering of your workpiece. Electric and self-contained hydraulic versions. Electric versions can be synchronized. Telescoping versions available too. Maximum weight is 100 – 600 kg (225 – 1,350 lbs). Maximum stroke is 200 – 1000 mm (7.87″ – 39.4″). Data sheets: M4.005, M4.101, M4.202, M4.203, M4.301, M4.401, M4.402, M4.501. Cart Modules Heavy duty carts are designed to interface and move individual modules or modular combinations, with or without their workpiece. All carts are equipped with a parking brake. Data sheet: M5.101. 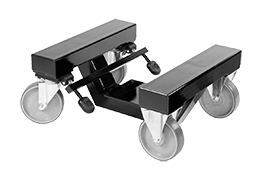 Floor Modules Heavy duty floor modules come equipped with leveling feet and you can mount one or more individual modules on the same base. Data sheet: M6.101. Accessories Base Plates, Flange Plates, Table Plates, Adaptor Plates, Clamping Modules, Power Supply Units, Hand Panels & Foot Switches. Data sheets: M8.100, M8.110, M8.120, M8.130, M8.131, M8.200, M8.201, M8.203, M8.300, M8.301, M8.302. Workbench with electrical height adjustment used for manual workstations. 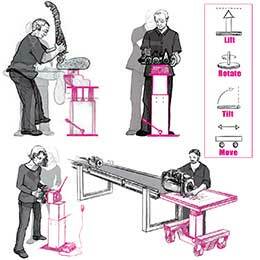 Users can adjust to optimum ergonomic working height in production areas. Data sheet M9.9101. Download the Assembly catalog from Carr Lane Roemheld, which includes information on all of the products on this page.